Los Angeles is known as a foodie capital, but anyone who’s lived here for a significant chunk of time can tell you that, vastly unlike New York, LA is a city of dinner parties. Credit it with the larger homes, the dearth of parking or the cost of living to income disparity (we’re number one, baby! ), but Angelenos know that a night in with the right group of friends is a thousand times better than any restaurant gathering. Whether you’re attending someone else’s feast or hosting your own, you aren’t going to want to show up empty-handed. To create your dinner party masterpiece, you’re going to need some ingredients. Before you throw in the towel and decide to wing it at a chain store (Ralph’s, Vons, Smart & Final, Pavilions, and Food 4 Less are the big ones in LA), consider some of LA’s truly remarkable local grocers. Doing your homework ahead of time can make all the difference in making a truly wow-inspiring meal. * All the photos in the article are for illustration purpose only. Because of the similarity in their sign, some people just assume Jon’s to be knock-off Vons with lower quality groceries. This couldn’t be further from the truth– although it seems to share the same logo designer as the grocery giant, Jon’s is Los Angeles family owned and locally operated, offering produce that rivals that of a high-end chain (like Gelson’s or Pavilions), but at prices lower than Ralph’s or Vons. Because Jon’s was developed in Los Angeles, it’s uniquely catered to the needs of its local communities, stocking Latino foods, Kosher foods, and Eastern European, Mediterranean, and Armenian groceries. If you’re finding yourself hankering for a cured sausage, smoked fish, herring, olives, and cheeses, you can lose yourself in the International Service Deli. Although they carry name brands, you’ll want to check out the local brands like Stone Bread Bakery and Sadaf for high-quality, locally-produced groceries for less. Of all LA area shops, Jon’s is the most admirably committed to celebrating the multiculturalism of our city. Sevan isn’t the cheapest, but it’s a great price for some top quality meats. They have an extensive (and notably picturesque!) selection of beef and seafood as well as beautifully fresh Eastern European deli salads. It’s a great place to pick up duck, quail, rabbit, halal beef and caviar. It’s got really great food gifts, ranging from hard to find Eastern European frozen foods to chocolates and treats. This modest grocery store in the Mid City area is a great find for dry goods. Stock up on every rice, noodle, and spice you could ever want. If you’re into herbal supplement and tinctures, there’s a full wall of them behind the counter. 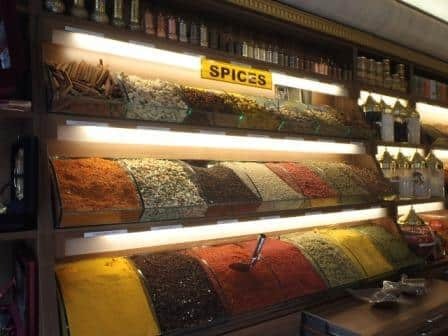 India Spices and Grocery stocks produce needed for cooking authentic Indian cuisine, including the more obscure ingredients hard to find anywhere else. It’s also great for grabbing ready-to-eat meals to stash in your desk for emergency quick lunches. If freshness is your thing, you’ll want to check out Superior Poultry. It’s so fresh, it’s actually alive when you walked into the store. 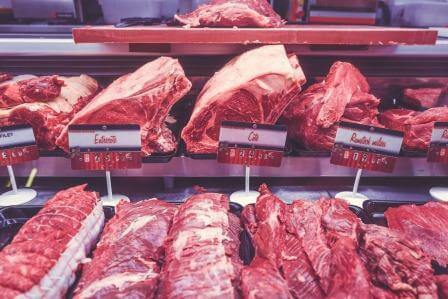 Go up to the counter, tell them what you want and they’ll slaughter, clean and gut it for you. Locally bred and raised white chicken runs about $1.60 a pound and the birds average out around 5 pounds. They sell rabbit, silkies, quails, and ducks (including Peking ducks). Parking is a nightmare, but you’ll find the place by the huge concrete rooster on the rooftop. It’s cash only and while it varies depending on what you’re buying, most birds come out to be roughly $15 apiece. The decor is sort of like a Latino-themed Trader Joe’s, but the prices are lower for fresher ingredients. 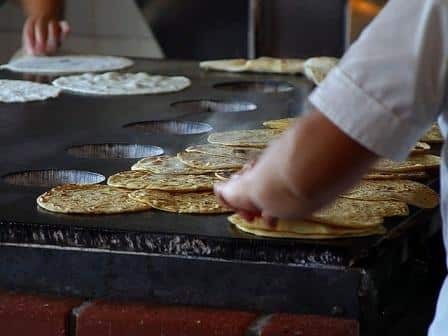 Each Vallarta store has its own cremeria and tortilleria where tortillas, Latin cheeses, sour creams, sausages, and salsas are made daily in house. (Warning: it’s easy to get hooked on their freshly made Crema Mexicana– try it instead of sour cream, melted cheese or whipped cream!) But Vallarta’s best kept secret is its Isla section where you can get freshly squeezed juices for less than half of what you’d pay at the trendy juice shops. This deep-fried southern deli and specialty market wins for charm. Its adorable retro kitsch vibe is undeniable and while it’s certainly not a place you’d depend on for a full trip’s worth of groceries, it’s great for getting that exact right hot sauce or syrup. There’s a great selection of small brands hard to find outside of Louisiana, including chips, snacks, sodas and sports team bric-a-brac. If you’re shopping to cure a homesick southern heart, Little Jewel has got the fix. What El Super lacks in ambiance, it makes up for in freshness and price. 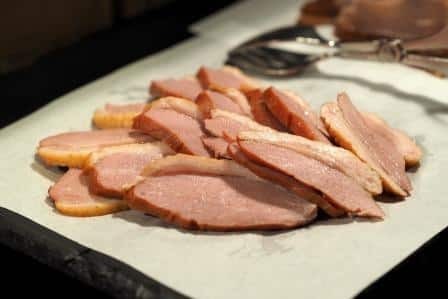 It’s comparable to Vallarta in cost, but has a greater meat selection, including obscure meat cuts like goat, tongue, lamb, and ox tails, with some excellent chorizo sausage options. El Super has great prices on whole fish from big catfish to little tiny smelt fish. The shining star of El Super is their bakery: their cakes are made fresh in-house at a fraction of the price of most LA bakeries. Super King might be one of the most under-appreciated grocery stores in the LA area and that’s really saying a lot. It’s like you took two parts El Super and one part Gelson’s and stirred them gently. It’s well-lit (but doesn’t have that stressful Wal-Mart lighting) and clean and it showcases its savings in a way that doesn’t feel cheap. The variety of Super King is world-class, with every conceivable beef cut and a wide array of poultry and seafood behind its counter, not to mention a mind-blowing offal selection. Maybe it’s the cleanliness and upkeep of the store, but I could swear the chicken has a healthier glow than anywhere else. The international deli has cheeses, cured fish, salamis, and a damn fine selection of pastries and desserts. Bay Cities is mostly known for being home to the Godmother, a sandwich with a voracious west side cult following. But beyond its booming sandwich counter, Bay Cities is an adorable grocery store with Italian specialties, most notably, a collection of what has to be every Mediterranean cheese ever invented. Full refrigerated bins of packaged cheeses sprawl out on display while hefty per-pound chunks and an array of salamis, bologna, hams and sausages line are stacked high in the deli counter. In the dry good section, pastas, oils, pastes, espresso beans, and chocolates line the shelves, as does an impressive wine selection. Bay Cities is a great place to grab a cannoli and browse through gifts for the foodies in your life. Aim for a morning or early evening visit (they’re open 9am-6pm) to avoid the daily lunchtime boom. You’ve been warned. In an enormous store in Van Nuys, Ranch 99 is pure foodie paradise with every conceivable variety of noodle, soy sauce, herbal tonic, and spice paste to hail from the eastern regions. Their produce is a rainbow of delights: purple yams, durian fruits, kumquats, dragon fruits, fresh herbs, and other Asian produce needs are regularly stocked and priced reasonably. But the real draw of Ranch 99 is the meat and seafood counters, arguably the most eclectic in Los Angeles. 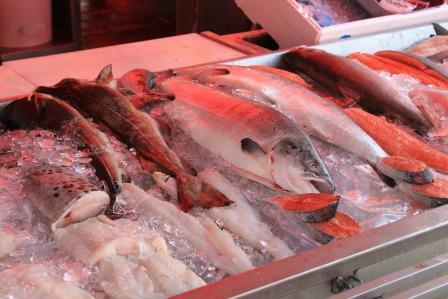 Several dozen kinds of whole fish lay out over ice at the fish counter; the meat counter shines bright pink with fresh cuts of beef, pork, and chicken, with rare and offal cuts included. Rabbit, whole octopus, snails, and silkies are all available in the refrigerated section among a host of fish balls and semi-prepared frozen foods from China and Southeast Asia. One of the pleasures of Ranch 99 is using a slotted ladle to fill baskets with living mussels, oysters, and clams into a basket for a fresh seafood dinner. Lobsters and tilapia are available live as well. Really, this entire article could be just detailing the wonders of Ranch 99. Set aside at least an hour to wander through the aisles. Established in 1934, the original farmer’s market is still around today, operating daily in a quaint courtyard marketplace that retains every bit of its old-timey charm. As The Grove shopping center developed around it, the farmer’s market changed its focus to become something more closely resembling a food court, but the farmer stalls still anchor the marketplace at either end. Farm Boy, Farm Fresh, and Greenhouse sell organic, locally-sourced fruits and vegetables according to their seasonal availability while Huntington Meats & Sausage, Farmers Market Poultry, Marconda’s Puritan Poultry, Marconda’s Meats, and Tusquella’s Seafood cover your protein needs. Do yourself a favor and grab a sweet treat at Normandie Bakery, Short Cake, T&Y Bakery, Gill’s Old Fashioned Ice Cream, or the original Du-Par’s Pie Shop, baking fresh since 1938. 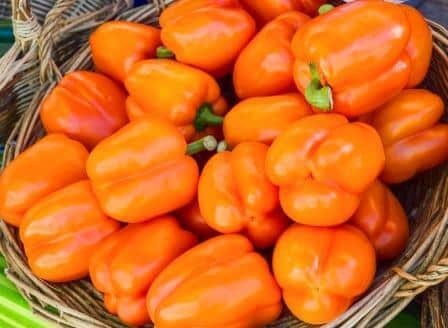 But this isn’t to say that the original farmer’s market is the only one in the game: a count by LA Weekly this summer listed well over a hundred farmer’s markets in the greater Los Angeles area. Prices vary among markets and vendors, although in general, the original location on 3rd and Fairfax has a slight mark-up over the others.